um...it doesn't look quiet at all? #1. Another poster that makes the problems look even worse. 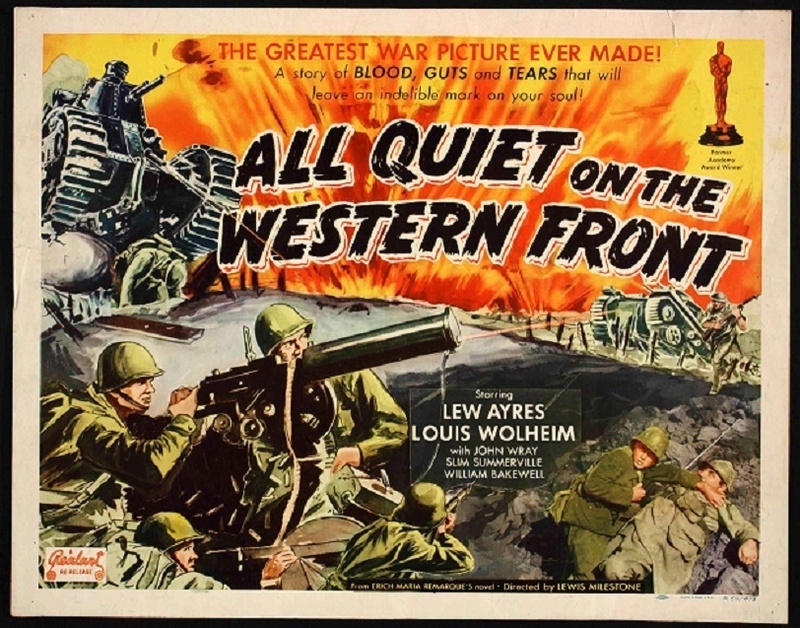 Both posters are Realart re-releases I believe from 1950 of the 1930 Universal released film All Quiet On The Western Front. 1 guy holding the other person down has a German helmet in the first pic and a Yank helmet in the second. 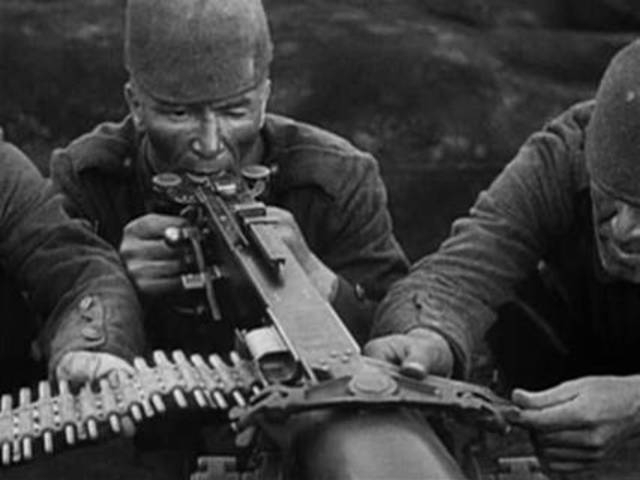 Notice the World War 11 American helmets on the machine gunners and other soldiers on both posters. 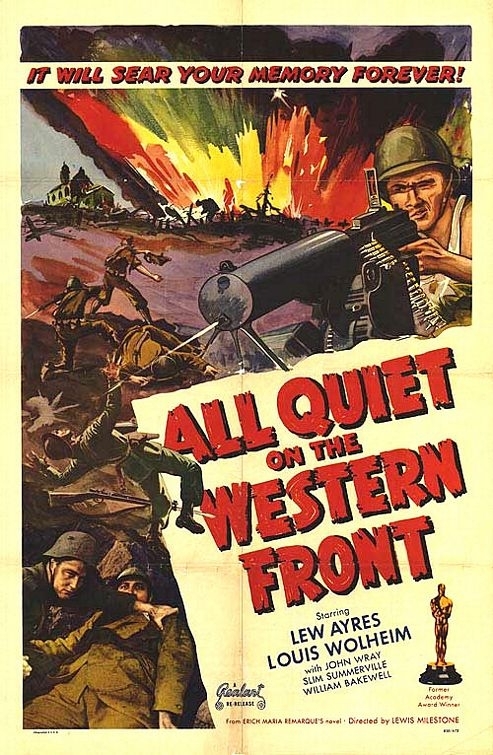 Lew Ayres has the World War 1 German helmet in the image above and notice what the machine gunners actually had on their heads in the movie. The tank appears authentic though. # 2. 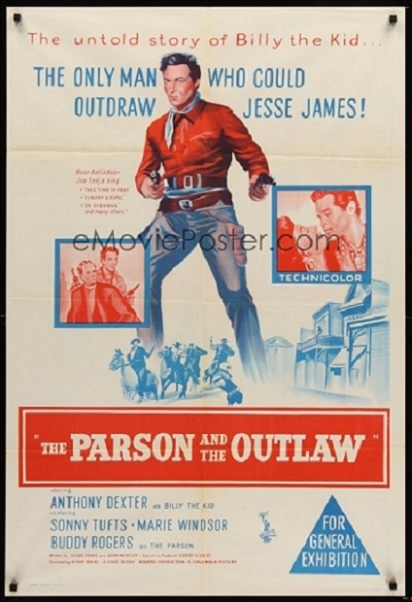 The Parson And The Outlaw ( 1957 ) Robert Burton Australian daybill. Those involved with the production of this daybill appear to have been asleep at the wheel when this poster was designed and printed. Apart from the poor artwork of the Burton artist, there is an obvious mistake on the poster. Yes, Sonny was incorrectly spelt as Sunny on the daybill. Interestingly on the equally unimpressive Robert Burton Australian one sheet it appears correctly as Sonny. # 3. Dracula Has Risen From The Grave ( 1968 ). For the original Australian release some wording on the above daybill poster is incorrect and some other wording misleading. Anyone care to comment ? 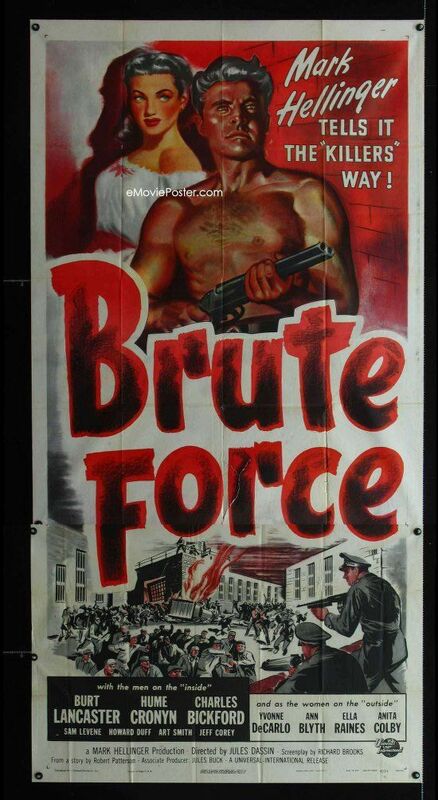 # 4 Brute Force ( 1947 ). Borrowed this image beauty from Chris. I may be wrong but is there something that doesn't look not quiet right with this poster? The Australian daybill under discussion, a close up of my problem with the daybill and the U.S.A. 3 sheet version. I had previously said - '' I may be wrong but is there something that doesn't look quiet right with this poster?'' 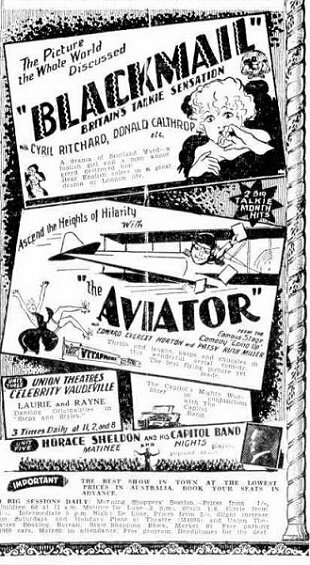 The first time I looked at the daybill image was in poor light, and for a second or two I thought there was some paper missing from the poster. Then immediately I could see it was only some colour in the white dress. 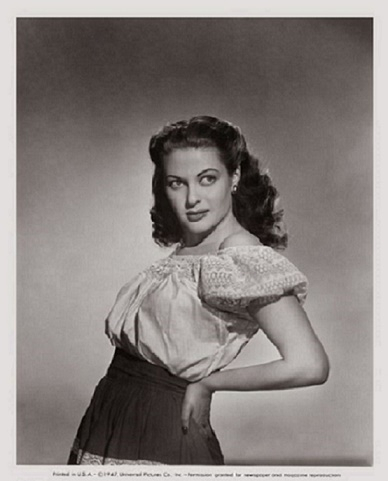 Above is an original still showing the beautiful Yvonne De Carlo from which this pose was used on the U.S. 3 sheet. On the American three sheet the artist didn't copy the just the light top and dark bottom colours that appear on the still and added white on the bottom of a small red section in the middle of the dress. This artwork is o.k. and the image looks fine. The trouble that I have with the Australian poster artist is that the coloured section he created just doesn't look right and out of place to me. Sorry to be picky and it is obviously fine with Chris. Anyone else care to comment? I didn't even notice...so it is fine for me too. Considering some of the crap artwork on ALOT of daybills, this one I would classify a winner. For Dracula - is the the 24 years / 1969 reference? 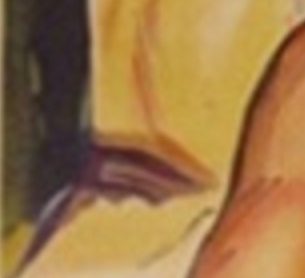 Indeed - if we are going to start nitpicking daybill artwork this thread will quickly balloon to 85 pages! Dracula Has Risen From The Grave ( 1968 ). 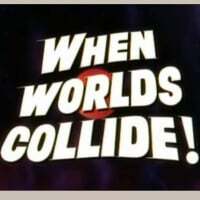 This film was released in the U.K. in 1968, followed by the U.S.A. and Australia in 1969. 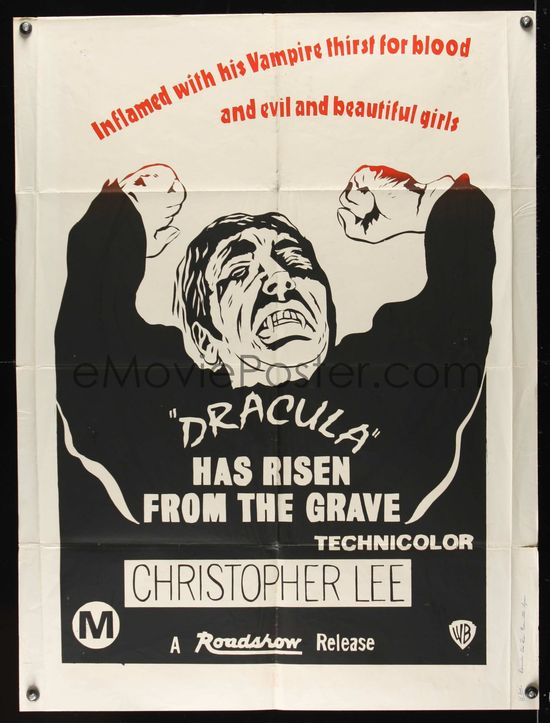 The " First Ever In Technicolor- The 1969 ''Dracula'' - First For 24 Years'' tagline isn't strictly correct. If the statement had read - First ever to be screened in Australia in technicolor they would have been correct. There were three Hammer produced Dracula films made in technicolor between 1958 and 1966 which were banned by the Australian film censor, and not screened during the 24 year period in question. The ''The 1969 Dracula First For 24 Years'' statement also isn't correct. The tagline was referring to the year 1945, 24 years previously when House Of Dracula was screened. Among many films featuring Dracula that were made within the 24 year time frame, including the Hammer and non Hammer titles they were all banned here bar one. Dracula did feature in Abbott And Costello Meet Frankenstein ( 1948 ) released in Australia in 1948 under the title Abbott And Costello Meet The Ghosts. 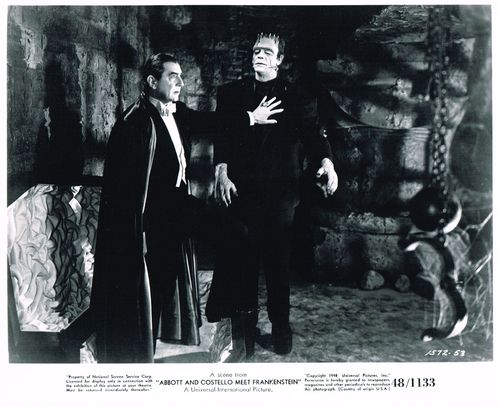 Original still of Abbott And Costekko Meet Frankenstein. 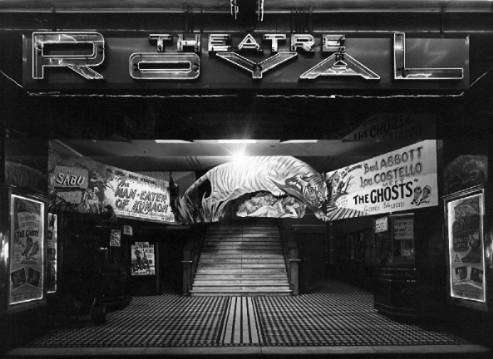 From a theatre screening Abbott And Costello Meet The Ghosts in Australia in 1948. Pancho had suggested this while this information was sitting in my drafts folder so good work. A later produced poster where the image of Christopher Lee's head and body appears a little out of proportion to me. 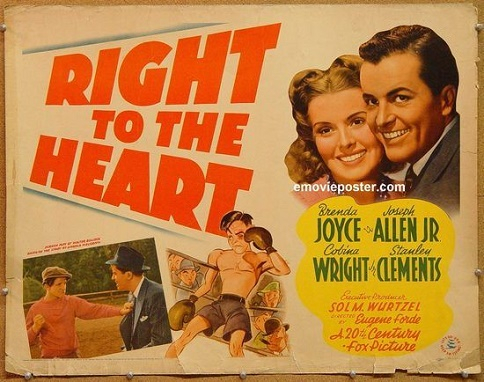 Right To The Heart ( 1942 ) and The Last Bandit ( 1949 ) Australian daybill posters. 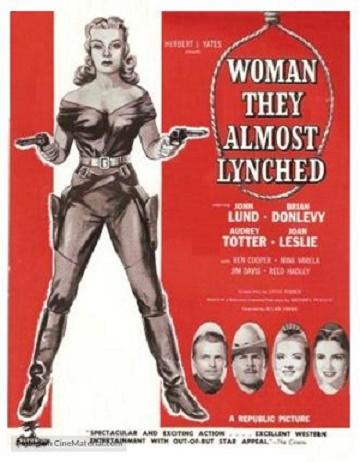 Blackmail ( 1929 ) Australian newspaper advertising and Woman They Almost Lynched ( 1953 ) U.S.A. one sheet. Something out of place here with the above four images. Any ideas ? I'm stumped. 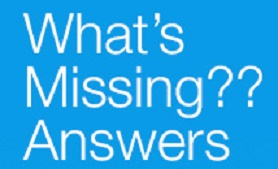 Can you give us a clue. Sure thing. Something or someone is missing from the four images. Right To The Heart - Poster artist still living in the past. 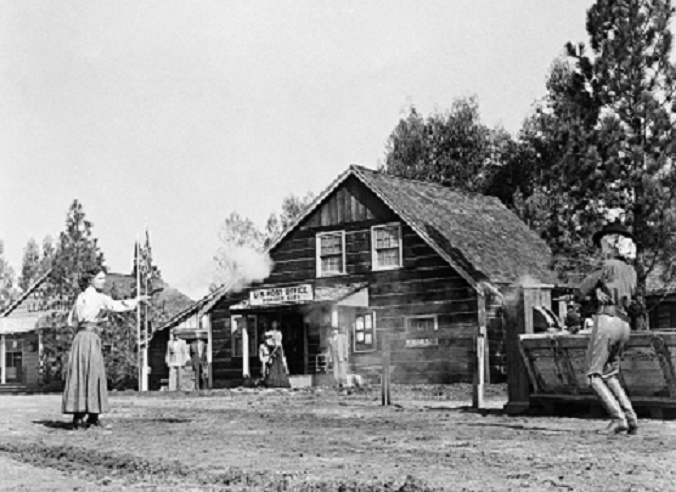 The Last Bandit - No sign of ''Wild Bill''. Blackmail - They are supporting who ? Woman They Almost Lynched - A question of where do I put it ? Right To The Heart has printed on the poster '' A 20th Century Picture'' when it should have been ''A 20th Century Fox Picture''. 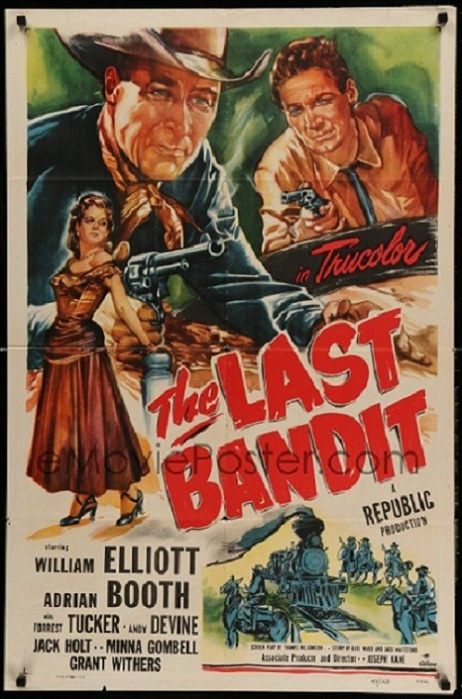 The Last Bandit has the closeup images of Forrest Tucker and Adrian Booth, with the main star William Elliott left off the poster altogether. 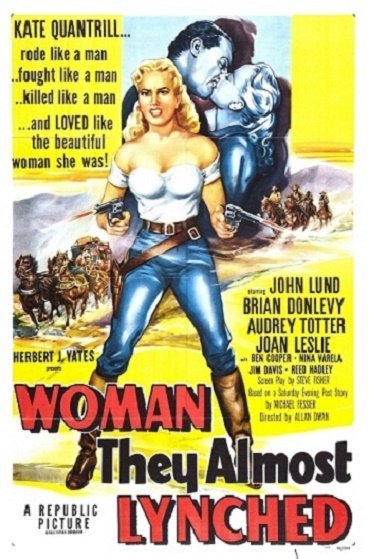 The original U.S. one sheet artwork featuring William Elliott. 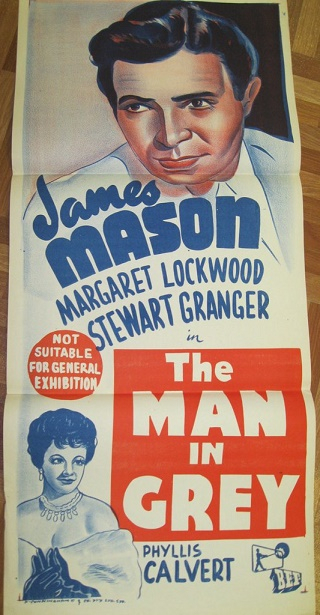 Blackmail had left of the top billed leading actors Anny Ondra and John Longden's names. 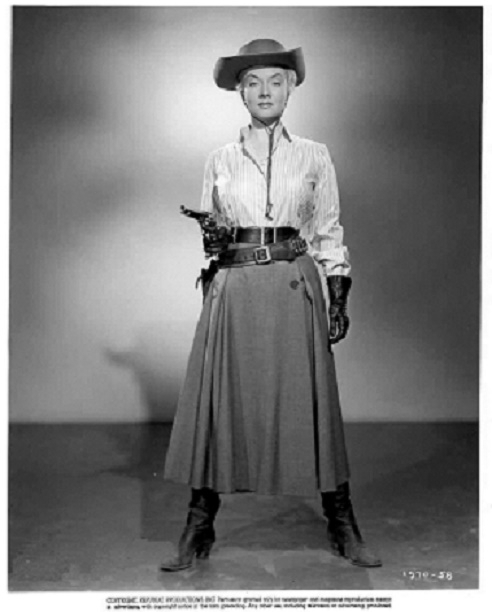 Woman They Almost Lynched has two guns and one holster only on Audrey Totter. 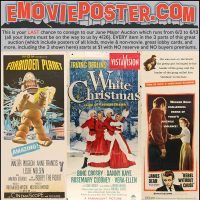 All the posters I have sighted, bar the above image, that featured this scene of Audrey Totter have two guns instead of only one that is used in the film. The poster artist who was responsible for the above apparently thought two guns deserved two holsters. Thanks for that Lawrence. A wee bit complicated for me. Educational none the less. 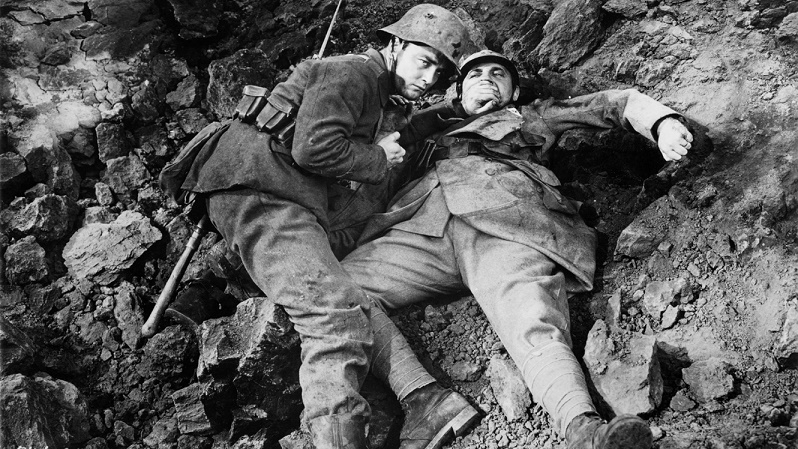 The Devil's 8 ( 1969 ) and The Man In Grey ( 1943 ). Something out of place here. Any idea? Maya ( 1966 ). A major boo boo here. Anyone? Maya. I suppose you mean that tigers don't live in Africa. You are correct in that tigers are not indigenous to Africa, so you are right with your answer and you are rewarded with a point. On saying that the answer that I was after was that the tagline ' Filmed in ....... jungle Africa' is incorrect as the movie was filmed in India. For anyone that may not know the adapted poster was originally a 1960's Columbia Pictures Jungle Jim stock daybill poster. Maya ( 1966 ) original MGM daybill poster and the 1960's Columbia Jungle Jim stock poster used for a number of Jungle Jim 1950's titles re-released in the '60's. In this particular case overprinted with the Jungle Jim in The Fordidden Land title. Voodoo Tiger ( 1952 ) original daybill where the previously discussed duotone poster idea came from. 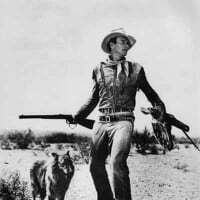 The tiger appearing on the poster, was in this film owned by an exotic dancer, who with her tiger crash land in Africa when a plane they are travelling in catches on fire. The tiger later goes on a killing rampage. This then explains the reason why the tiger was on the poster in the first place.. Both these daybill titles have different information than that would normally be expected, printed on them.